Short video link on drug abuse protocol! AUG 30 (WASHINGTON) – The Drug Enforcement Administration (DEA) today announced its intention to place the active materials in the kratom plant into Schedule I of the Controlled Substances Act in order to avoid an imminent hazard to public safety. Mitragynine and 7-hydroxymitragynine are found in kratom, which is a tropical tree indigenous to Thailand, Malaysia, Myanmar, and other areas of Southeast Asia. The announcement was made in the U.S. Federal Register and can be found by following thislink. The American Association of Poison Control Centers identified two exposures to kratom from 2000 and 2005. Between 2010 and 2015, U.S. poison centers received 660 calls related to kratom exposure. The Center for Disease Control (CDC) found that kratom abuse leads to agitation, irritability, tachycardia, nausea, drowsiness, and hypertension. Health risks found in kratom abusers include hepatotoxicity, psychosis, seizure, weight loss, insomnia, tachycardia, vomiting, poor concentration, hallucinations, and death. DEA is aware of 15 kratom-related deaths between 2014 and 2016. I invite you to join me in sending a bipartisan letter to the Drug Enforcement Agency to encourage more research into the natural supplement, Kratom. Kratom (Mitragyna speciosa) is made from the leaves of a tropical tree native to Southeast Asia and a relative of the coffee plant. Kratom leaves are often brewed like a tea, or crushed and mixed with water. In the U.S., kratom has become popular among people coping with chronic pain and others trying to wean themselves off opioids or alcohol. The main chemical is mitragynine. It binds to some of the same receptors as opioids, providing some pain relief and a calming effect, but, not the same high. And the chemical doesn’t cause the same, sometimes deadly, side effects as opioids, such as respiratory depression. On August 31, the Drug Enforcement Agency published a “notice of intent” in the Federal Register stating its plan to list the herb as a Schedule I substance, the most restrictive category, alongside heroin and LSD, effective September 30th with no opportunity for a public comment period. The National Institutes of Health has funded a joint study conducted by the University of Massachusetts and the University of Mississippi to investigate the use of kratom as a remedy for opioid withdrawal. This study led the researchers to apply for a patent identifying the kratom extract, mitragynine, as a useful treatment for other addictive drugs besides opiate derivatives. The DEA’s decision to place kratom as a Schedule I substance will put a halt on federally funded research and innovation surrounding the treatment of individuals suffering from opioid and other addictions—a significant public health threat. The letter asks the Director of OMB and Acting Director of the DEA to delay a final decision on the placement of Kratom as a schedule I, provide ample time for public comment on this significant decision, and resolve any inconsistencies with other Federal Agencies regarding the use of Kratom. Please join me in this effort to prevent the DEA from regulatory overreach and restricting consumer access to this natural herbal supplement. If you have questions or would like to sign on to the letters, please contact Leslie Zelenko in Rep. Mark Pocan’s office at 202-225-2906 or Leslie.Zelenko@mail.house.gov. We write with concern about your agency’s proposed regulatory decision to utilize section 201 of the Controlled Substance Act (CSA) to temporarily place Mitragynine and 7-Hydroxymitragynine, more commonly known as Kratom, into schedule I of the CSA. We urge your agency to delay a final decision on the placement of Kratom as a schedule I, provide ample time for public comment on this significant decision, and resolve any inconsistencies with other Federal Agencies regarding the use of Kratom. As our nation continues to combat the public health crisis of opioid abuse, the federal government has invested significant resources to develop alternative pain management strategies. This includes a study funded by the National Institutes of Health in partnership with the University of Massachusetts and the University of Mississippi to investigate the use of Kratom as a remedy for opioid withdrawal. This study led the researchers to apply for a patent identifying the Kratom extract, mitragynine, as a useful treatment for other addictive drugs besides opiate derivatives. The DEA’s decision to place Kratom as a Schedule I substance will put a halt on federally funded research and innovation surrounding the treatment of individuals suffering from opioid and other addictions—a significant public health threat. DEA’s Federal Register notice posted on August 31, 2016 proposes placing Kratom in the most restrictive category- schedule I- within 30 days. This significant regulatory action was done without any opportunity for public comment from researchers, consumers, and other stakeholders. This hasty decision could have serious effects on consumer access and choice of an internationally recognized herbal supplement. We urge the DEA to delay finalizing the decision to define Kratom as a schedule I substance under the Controlled Substances Act and to engage consumers, researchers, and other stakeholders, in keeping with well-established protocol for such matters. A departure from such guidelines threatens the transparency of the scheduling process and its responsiveness to the input of both citizens and the scientific community. We look forward to your timely response. We urge you to use your statutory authority to require the Drug Enforcement Agency (DEA) to delay their proposed regulatory action to temporarily place Mitragynine and 7-Hydroxymitragynine, more commonly known as Kratom, into schedule I of the Controlled Substances Act (CSA), until there is sufficient opportunity for public comment and Federal Agencies to work out discrepancies between them in terms of their understanding of the use of Kratom. The DEA published their notice of intent in the Federal Register on August 31, 2016, only 30 days before they plan to finalize this decision to place this substance in the most restrictive classification under CSA. The Agency did not provide any public comment process for this significant regulatory decision, which will restrict consumer choice and access to internationally recognized herbal product. We believe the Office of Information and Regulatory Affairs (OIRA), under your jurisdiction, must utilize its statutory authority to manage and oversee this specific regulatory action to ensure the DEA is not violating federal law. In the Federal Register notice to temporarily place Kratom as a Schedule 1 substance under the CSA, the DEA references that “available data and information for mitragynine and 7-hydroxymitragynine indicate that these substances have a high potential for abuse, no currently accepted medical use in treatment in the United States, and a lack of accepted safety for use under medical supervision.” However, researchers at University of Massachusetts and the University of Mississippi received two National Institutes of Health (NIH) grants to investigate the use of Kratom as a remedy for opioid withdrawal. This led the researchers to apply for a patent identifying the Kratom extract, mitragynine, as a useful treatment for other addictive drugs besides opiate derivatives. The DEA’s decision to place Kratom as a Schedule I substance will put a halt on federally funded research and innovation surrounding the treatment of individuals suffering from opioid and other addictions—a significant public health threat. until sufficient public comment is received and inconsistencies between Federal Agencies view of the product are addressed. We look forward to your timely response. AUSTIN (KXAN) — A federal decision to make the herbal supplement kratom as illegal as heroin is now on hold. Lawmakers have asked the Drug Enforcement Agency to delay the final decision, saying the move to ban it was hasty and there was no opportunity for public comment.Dozens have also signed on to a letter to Shaun Donovan, director of the Office of Management and Budget, to use his “statutory authority” to delay the DEA from labeling kratom as a Schedule I substance. In late August, the DEA announced its intent to place the active materials found in the kratom plant into Schedule I of the Controlled Substances Act, citing concerns that the supplement was a public health hazard. They believe there’s a high potential abuse and say the number of calls to poison centers increased tenfold over five years. But the decision caused a major backlash, not only from lawmakers but from more than 140,000 people who signed a White House petition to keep kratom legal. 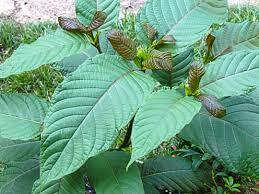 Kratom is a tropical tree found in Southeast Asia, and its leaves can be crushed into a powder for users to take. Many swear by its medicinal benefits, using it for chronic pain relief, depression, anxiety and post traumatic stress disorder. For users like 35-year-old Austin mom Ciara Gammon, it helped her get off the painkillers which she had been prescribed for years. Gammon broke her neck at age 14 and later learned she had a herniated disc. 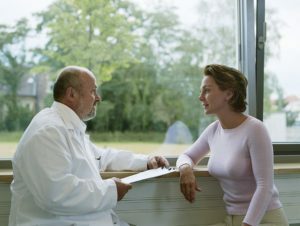 Complications in her neck continued and doctors prescribed her heavy medication like Norco and Soma. “I felt like a pain in everybody else’s life because all I could basically do was take drugs and lay in bed, and they were drugs the pharmacy and doctor said I had to have,” said Gammon. While she was skeptical, Gammon eventually tried kratom, and says it changed her life. Her best friend Amy Shelbourne also relies on kratom. Her pain also started at a young age, suffering from Endometriosis and severe complications down the road. She too says it’s changed her life, and it’s why she’s now publicly fighting to keep it legal. The two women know their fight isn’t over, and hope the DEA listens to their stories before making their final decision. KXAN reached out to the DEA and did not receive a response. The FDA has approved Zubsolv (buprenorphine/naloxone CIII sublingual tablets) 0.7mg/0.18mg for the treatment of patients with opioid dependence. This expands the doses available for Zubsolv to six different dosages (11.4mg/2.9mg, 8.6mg/2.1mg, 5.7mg/1.4mg, 2.9mg/0.71mg, 1.4mg/0.36mg & 0.7mg/0.18mg). The drug was originally approved in 2013. Adverse events commonly reported with the use of Zubsolv include headache, nausea, vomiting, hyperhidrosis, constipation, signs and symptoms of withdrawal, insomnia, pain, and peripheral edema. Orexo. U.S. FDA Approves Orexo’s low dose Zubsolv® buprenorphine and naloxone sublingual tablets (CIII) [press release]. October 6, 2016. http://www.prnewswire.com/news-releases/us-fda-approves-orexos-low-dose-zubsolv-buprenorphine-and-naloxone-sublingual-tablets-ciii-300340469.html. I attached the above CNN article because it had excellent depth: link onto it! Buprenorphine induction and maintenance with forms are under the forms tab!